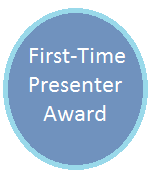 ARTESOL First-Time Presenter Award is intended to provide a first-time ARTESOL Convention presenter with the opportunity to deliver a presentation at ARTESOL Annual Convention. The award consists of a free registration ticket to ARTESOL Convention, and one-night accommodation. You can check the submission guidelines here.